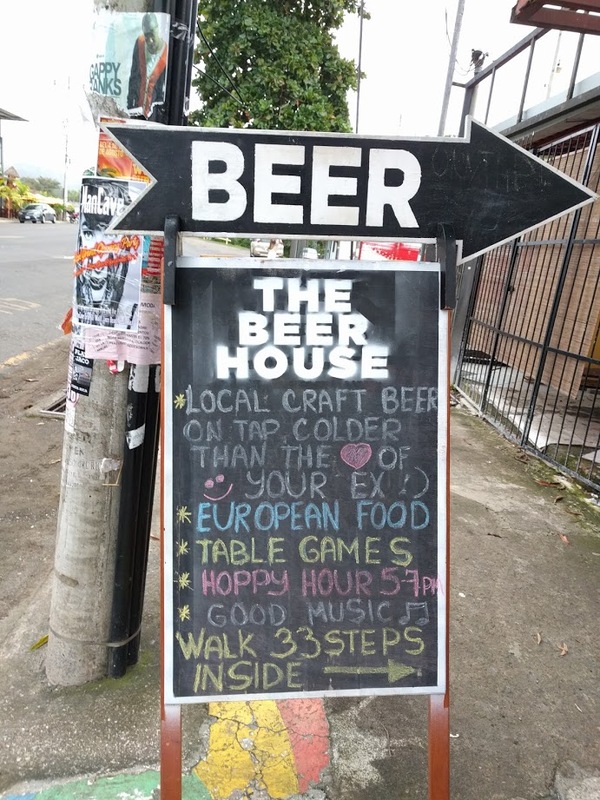 The Beer House is tucked down an open air hallway right beside a massage parlor. There are signs on the street advertising the location, so it should be pretty easy to find. 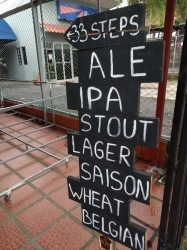 There are 6 or 8 different beers on tap and several in bottles. 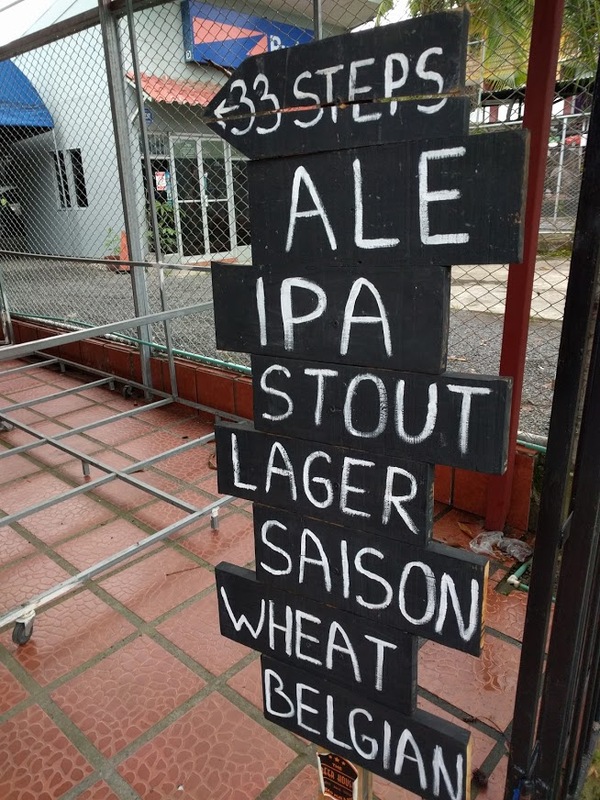 I saw a few US brands like Rogue, but the focus here is on Costa Rican brewed beers. 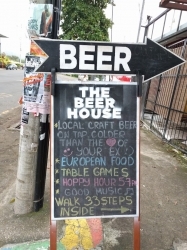 The owner talked to us for a while and is very passionate about beer to the point where he seems to do a bit of the distribution legwork himself in order to stock the bar with beers from all over the country. Definitely give this place a shot if you're in Jaco. Worth the time and the visit.